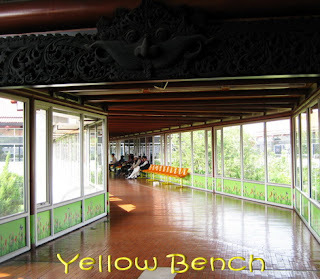 Since yellow things can attract your attention easily; it’s not hard to find yellow ones in a public place. Last Thursday, I had a chance to take several pictures before the boarding time; at Soekarno Hatta airport (Jakarta, Indonesia). A few of them can be used for this meme. 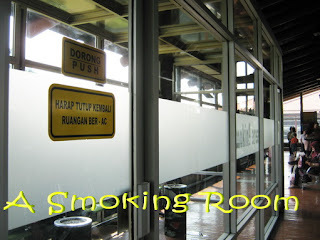 If you’re a smoker like my husband, whenever you’re in a public place, you surely find a smoking room, right? I saw that the room was full! Too many smokers? If you ask me; I always search for empty bench, hehehe. Many colors all over places and usually yellow is one that popped out. Happy Monday! Too many smokers I guess hehehe, nice shots Lina. yes, I saw a smoking room in Kuching airport.